Robin Hopkins and Jaimie Kelton are co-hosts of If These Ovaries Could Talk, a weekly podcast where two lesbians chat about making babies and non-traditional families when you’re outside of a heterosexual relationship. 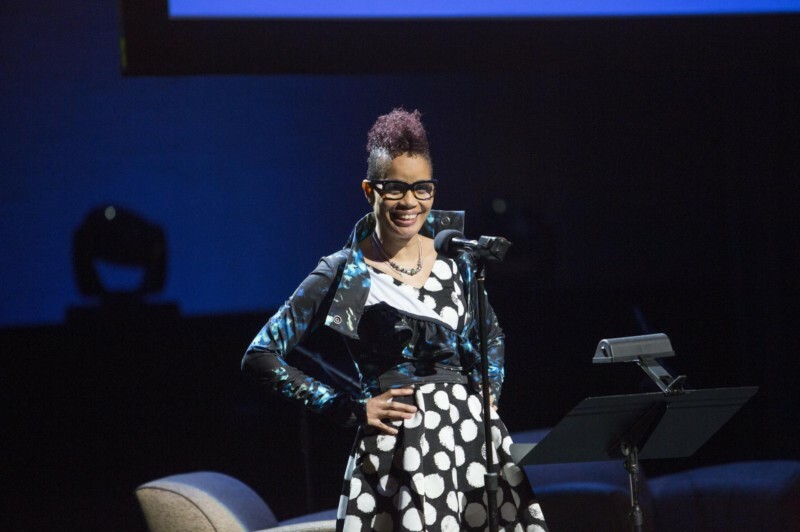 Join them for a live podcast event with special guest Staceyann Chin, the poet and activist who spoke candidly on The Oprah Winfrey Show about the dire consequences of coming out in her native Jamaica. She is author of the memoir, The Other Side of Paradise, and her critically acclaimed theater piece, MotherStruck (directed by Cynthia Nixon and produced by Rosie O’Donnell) chronicled her incredible experiences about motherhood. Staceyann has a reputation for telling it exactly like it is. And Robin and Jaimie have a reputation for interrupting. So expect a jam-packed evening filled with stories about single parenting by choice, coming out as an LGBTQ family and the importance of telling our non-traditional family stories in the current political climate.